Passed away peacefully at Frost Manor, Lindsay on Saturday, September 21st, 2013 in her 92nd year. 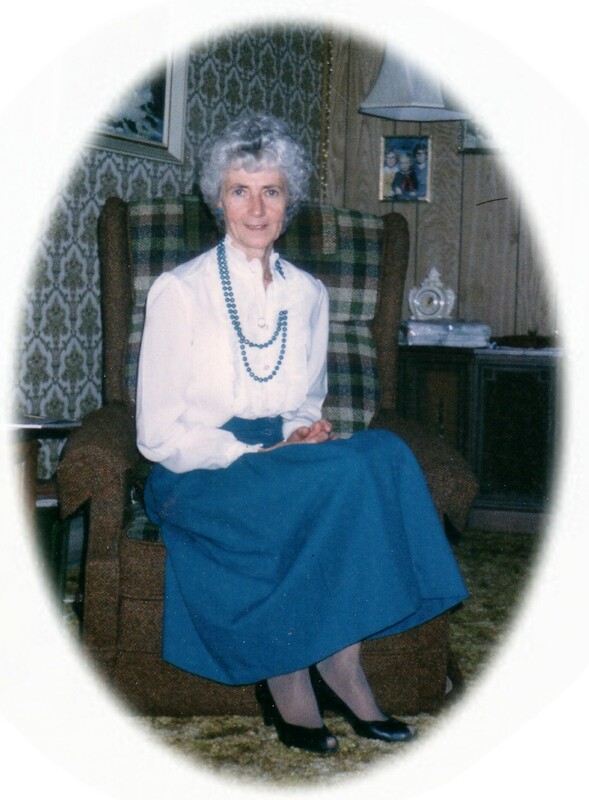 Beloved wife of Fergus McCabe (1982). Loving mother of Ron (Sandra), Paul (Jane) and Pat (Bonnie) all of Lindsay. Grandmother of Tina (Ed King) both deceased, Kim (Rodney Marshall), Raymond (Kerrie), Michael (Teresa), Lynn McCabe, Mark (Roberta), Angie Perry, Sherry McCabe and Cindy McCabe (Adam). Great Grandmother of Tyler, Jordan, Cameron, Braydon, Tiana, Grayson, Hayley, Laura, Samantha, Meredith, Natalie, Hunter and Amber. Survived by three sisters Daisy of Lindsay, Betty of Nova Scotia and Lil of Michigan, USA. Predeceased by eight brothers and sisters. The family will receive friends at Parker Funeral Home, 19 Moose Road, Lindsay on Wednesday, September 25th from 7:00 pm – 9:00 pm. Mass of Christian Burial at St. Mary’s Roman Catholic Church, Lindsay on Thursday, September 26th at 1:00 pm. Interment to follow at St. Mary’s Roman Catholic Cemetery, Lindsay. Donation to the Canadian Diabetes Association would be appreciated by the family and can be arranged by Parker Funeral Home, 705-324-1988. Online condolences may be made at www.parkerfuneralhome.ca.